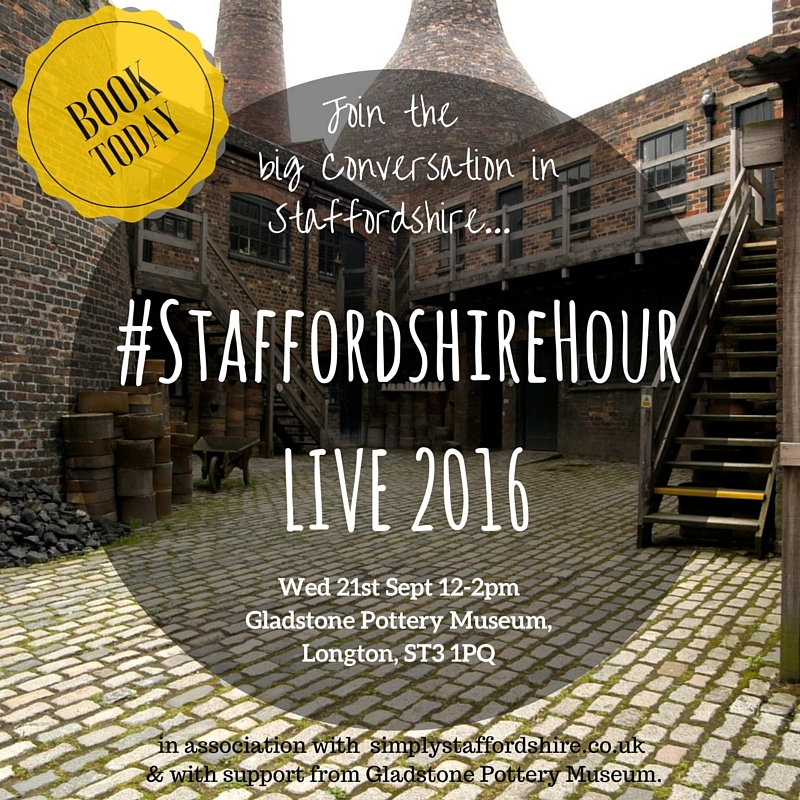 After the success of last year, Staffordshire Hour LIVE is back! Staffordshire Hour reaches hundreds of thousands of people each week on Twitter providing an ideal platform for networking, knowledge sharing, business help, charity fundraising, fun and chat. This powerful weekly conversation attracts people from all over the UK as well as supporting businesses and charities closer to home. Staffordshire Hour LIVE is an annual event giving all those who get involved each week to get together in person, celebrate our fine county and continue the conversation face to face.